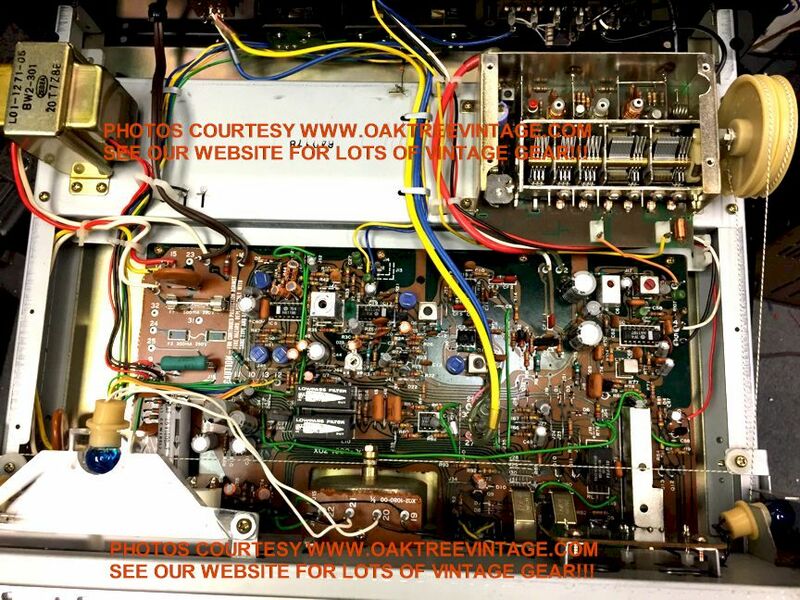 Vintage & Used Stereo Tuners RESTORED / REFURBISHED / FULLY SERVICED for sale with a Warranty! 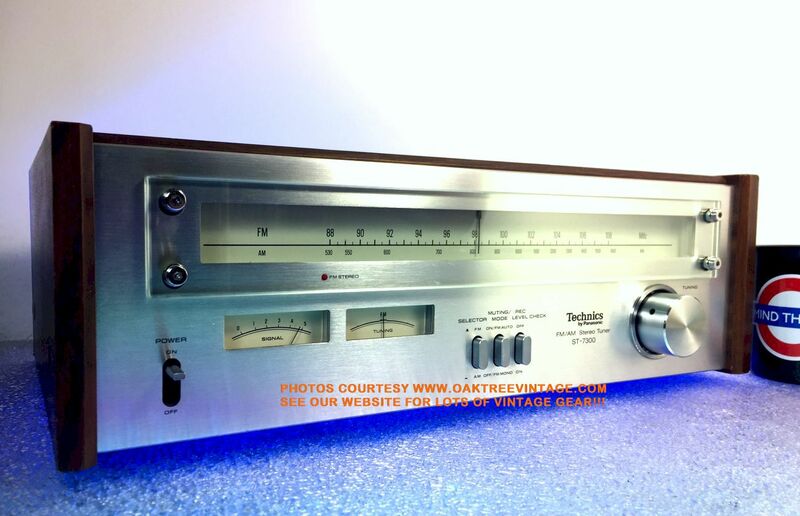 Vintage Stereo Tuners: Refurbished / Restored Vintage / used / pre-owned AM / FM stereo tuners. FM / AM tuners by Fisher, Harman Kardon HK, Kenwood KT, Onkyo T, Pioneer F, Yamaha T / CT, AM / FM stereo tuners. 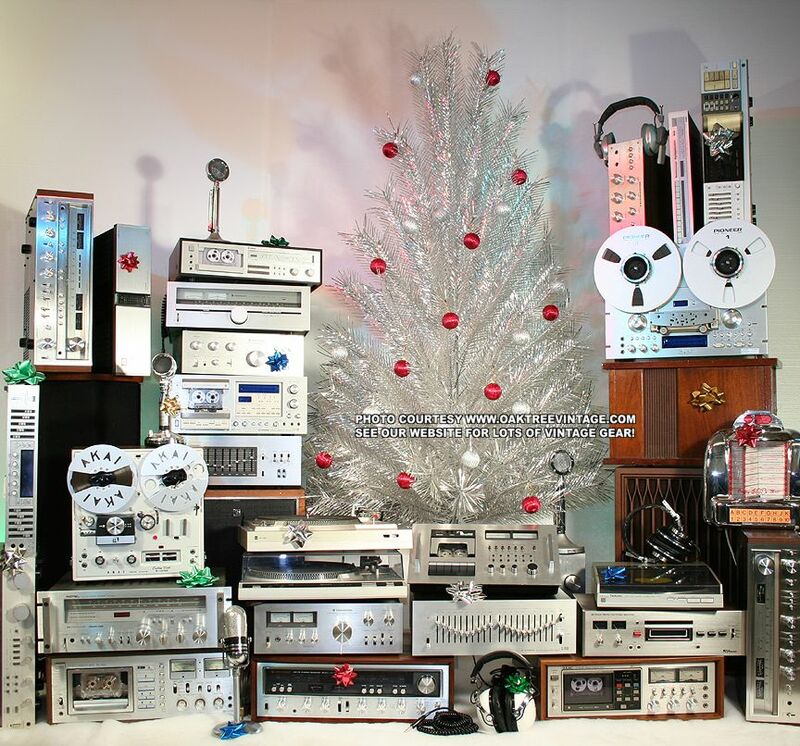 1960's, 1970's, 1980's stereo / radio station tuners from the 1960's / Sixties, 1970's / Seventies, 1980's / Eighties. 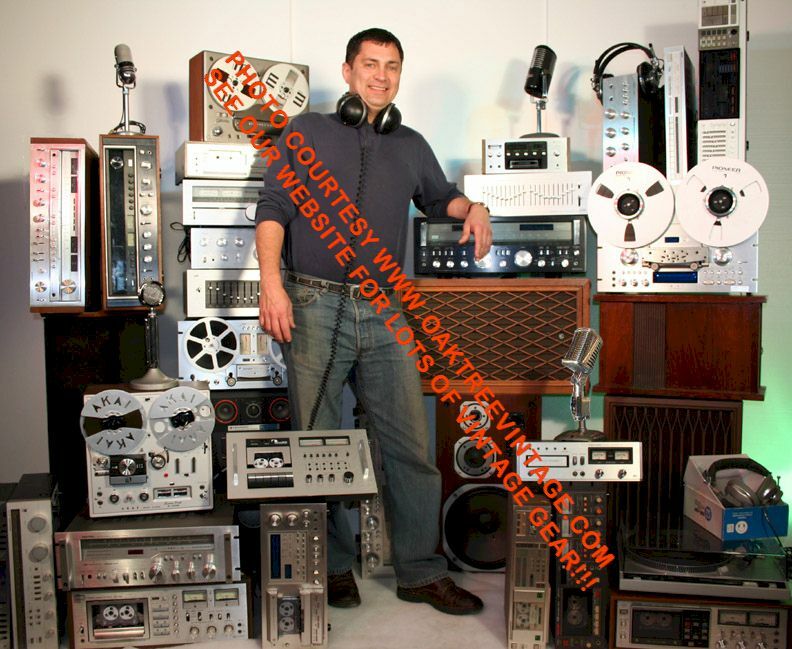 � Our technician has completely gone through and 'Certified' this unit. � We have completely gone through this unit cleaning everything including all switches, controls and contacts. Extensive cleaning of unit internally. 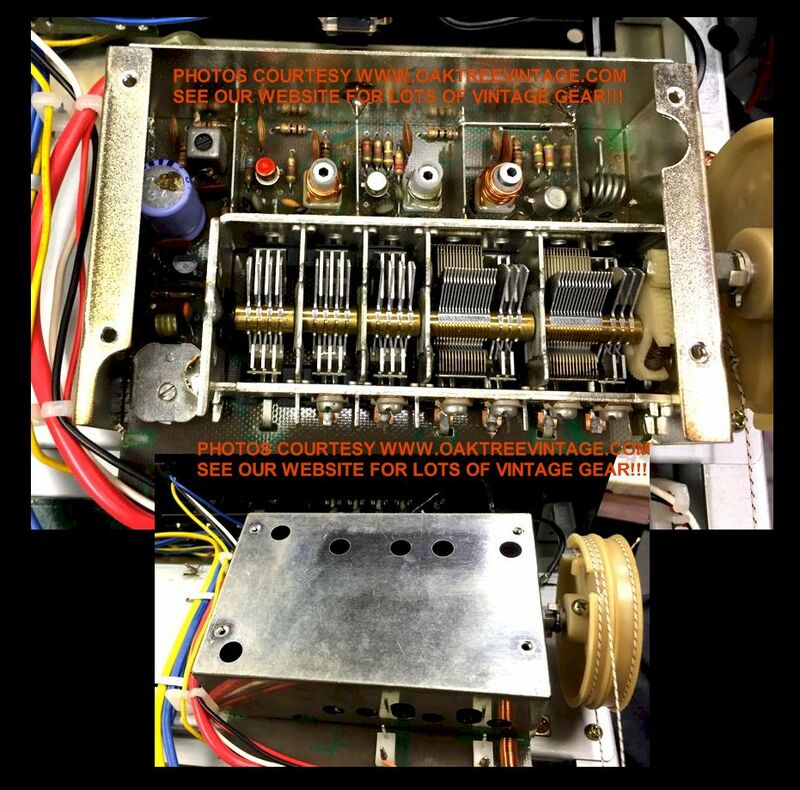 � Switches / Selectors (rotary, toggle and slide) were also flooded with cleaner. � Power switch mechanism's lube was 'past it's design life', so took an 'act of congress' to manipulate, so we disassembled the linkage, cleaned and re-lubed it for 'normal performance'. � RCA I/O jacks cleaned of surface corrosion. 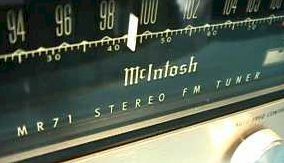 � We also aligned the tuner front-end on both AM & FM bands for optimum performance as older tuner components will have 'drifted' over the years. � AM 'Stick' antenna 'ball and socket' inspected and is holding well. � Tuner string checked for any fraying then re-tensioned to increase traction & relieve flywheel binding and re-centered pointer to correct dial position. � Following it's initial refurb, I felt that the tuner flywheel was a bit 'sluggish' (and I've seen them 'freeze up' once they start having resistance to their motion), so I sent it back through the tech procedure, and had them disassemble the flywheel assembly (not a particularly easy task), clean the bushing / axel, and re-lube. Now is should be good for another 30-40 years. Frankly we are seeing this WAY more often on tuner flywheels, as the 'lubes' are hitting the end of their intended life. � No power supply hum of any kind. It's dead silent! � Following restoration procedures, the unit was ran continuously for 48+ hours. Total restoration time investment ~5 hours. You will not be disappointed. 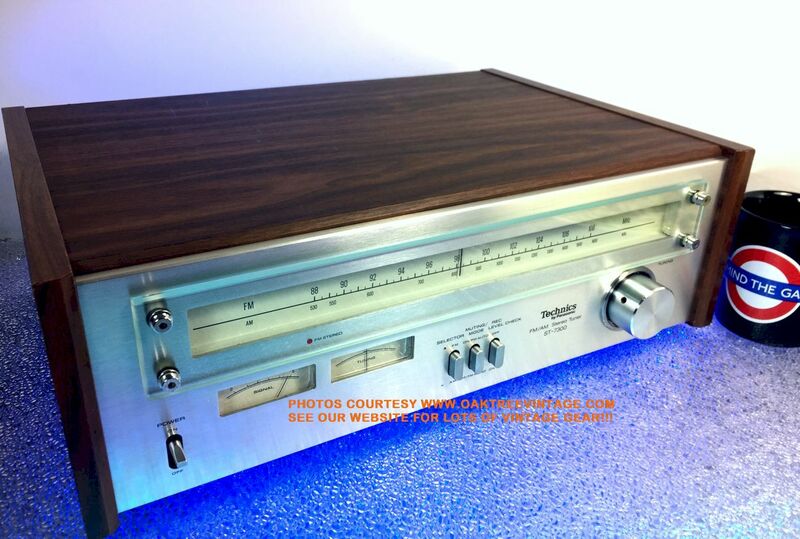 Very impressive and classy looking Pioneer TX-7500, tuner with performance to match. Brushed aluminum face with matching knobs. This tuner is in fabulous condition. Again, we have completely gone through this unit. Looks NEAR NEW both inside and out. Works and sounds great as well! 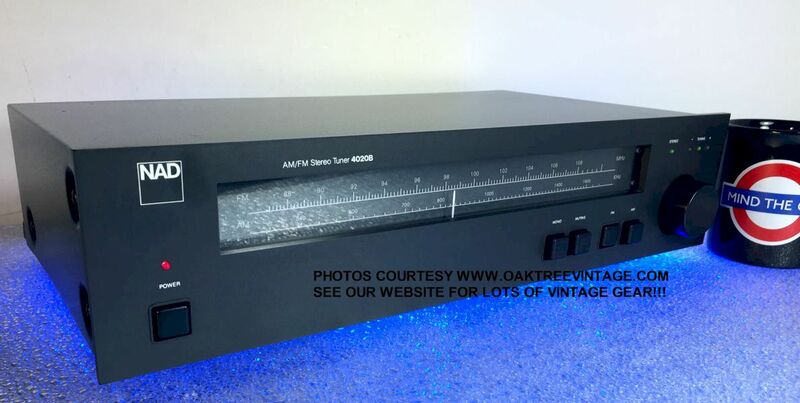 For you Pioneer "Spec" fans, this tuner will fit in Pioneer's "Spec" rack shelf. 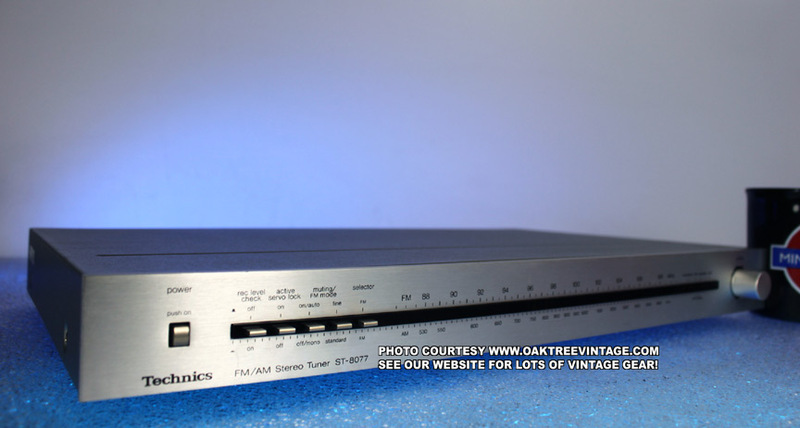 Would, of course, also match well with most any period Pioneer components such as the SA-7500, SA-6500, SA-9500 etc. Measures 16.5" wide x 14.5" deep x 6" high and weighs 18 lbs unpacked. Includes our standard 90 day limited warranty. � Switches / Selectors modified for cleaning and flooded with cleaner. � All LED indicators for trouble-free service. � No power supply hum of any kind. It's dead silent! All functions test fine. Following restoration procedures, the unit was ran continuously for 48 hours. Following restoration procedures, the unit was ran continuously for 48+ hours. You will not be disappointed. 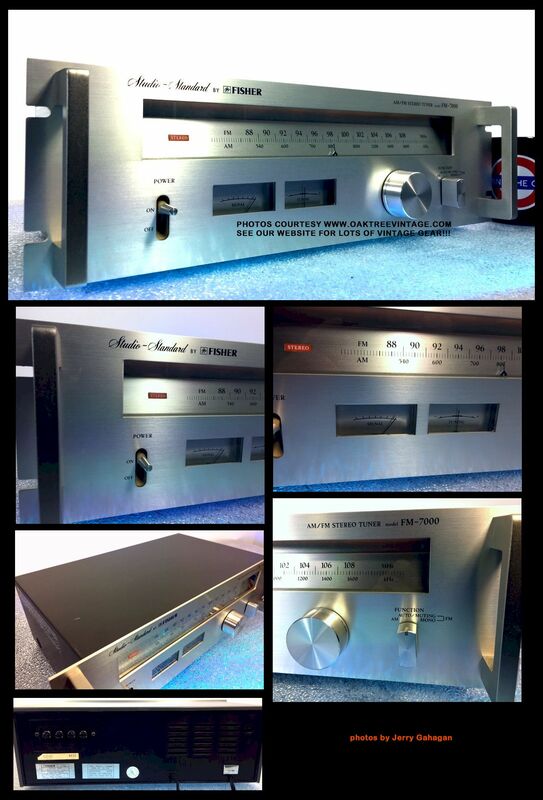 Very classy and 'handsome', Technics ST-7300 tuner with performance to match. Brushed aluminum face with 'matte' finish knobs. Tuner is in beautiful condition. Simulated wood case in great shape. Again, as stated earlier, we have completely gone through this cleaning all contacts and controls, cleaning the tuning capacitor and replacing all panel / meter lamps for years of trouble free service. Alignment adjusted for optimum performance. Looks great both inside and out. Works and sounds great! Measures 17.5" wide x 12" deep x 5.75" high and weighs 12 lbs unpacked. Includes our standard 90-day limited warranty. � AM 'Stick' antenna 'swivel joint' inspected and is holding well. Following restoration procedures, the unit was ran continuously for 48+ hours. Total restoration time investment ~3 hours. You will not be disappointed. Service notes from it's 'work sheet' has technician note, "nicely laid out circuit boards...good internal build quality...surprisingly HEAVY chassis / construction...tuning flywheel assembly VERY WELL MADE"
VERY GOOD TUNER! Generally AM reception in a stereo receiver is treated as an 'after thought', but the AM reception on this one is WAY above average. Pulls in stations like an old 'Tube' radio! FM reception also incredible and IMPECCABLY CLEAN!!! No power supply hum of any kind. It's dead silent! All functions test fine. Following restoration procedures, the unit was ran continuously for 48 hours. 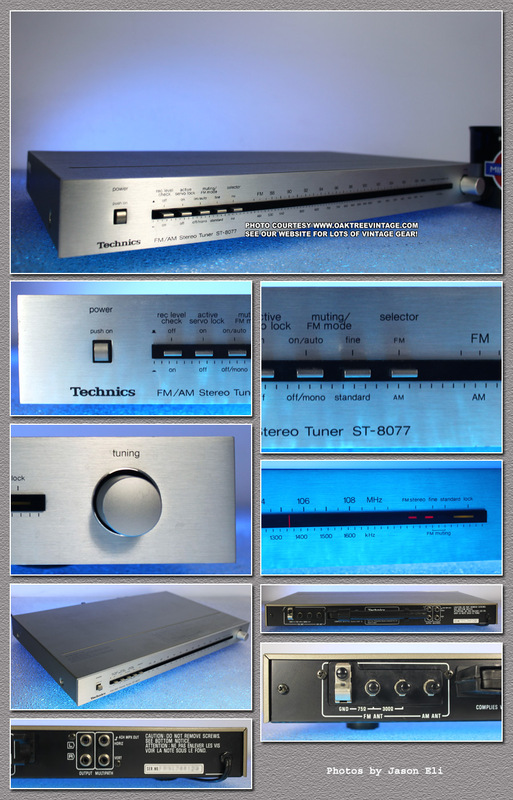 Very classy and 'handsome', 'Super-Low Profile' Technics ST-8077, tuner with performance to match. 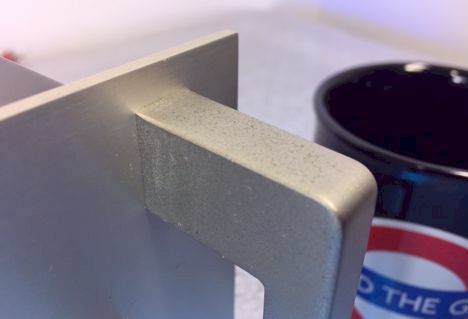 Brushed aluminum face with 'matte' finish knobs. Again, we have completely gone through this unit. Looks great both inside and out. Only minor striations on top panel, near rear of unit. FM performance is typically great and AM is WAY above normal for a stereo tuner. Came out great after alignment. Tuner is in great condition. Works and sounds great! Measures 17.75" wide x 12.5" deep x 1.75" high and weighs 10 lbs unpacked. Includes our standard 90 day limited warranty. � AM Ferrite Ant trimmed. � AM and FM 'front end' aligned for best performance. � All LED indicators checked and ALL dial lamps checked and replaced where necessary. 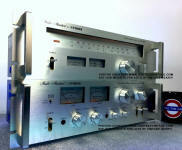 Classic, Silver-faced, Onkyo T-4040 ANALOG, AM/FM Stereo tuner with performance to match. Matte aluminum face with 'matte' finish knobs. Again, we have completely gone through this unit. Looks great both inside and out. Unit looks great with only very minor 'tics'. Tuner is in great condition. Works and sounds fabulous! Measures 17.15" wide x 13.5" deep x 3.75" high and weighs 10 lbs unpacked. Includes our standard 90 day limited warranty. � All LED indicators checked and ALL dial lamps replaced for trouble-free service. Very classy and 'handsome', 'Low Profile' Yamaha T-550, tuner with performance to match. Brushed aluminum face with 'matte' finish knobs and the 'cool' Yamaha 'Glowing Power Button' (matches much of their gear from that era). Again, we have completely gone through this unit. Looks great both inside and out. Unit looks essentially 'AS NEW'. FM performance is typically great like most Yamaha's when we finish with them. Tuner is in great condition. Works and sounds fabulous! Measures 17.15" wide x 13.5" deep x 3.75" high and weighs 10 lbs unpacked. Includes our standard 90 day limited warranty. .... And Really "Rock Around The Christmas Tree"! 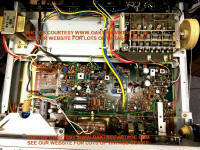 (above left photo of amp with 'matching' Integrated Amp. Classy looking Fisher FM-7000, AM/FM tuner. Brushed aluminum face with matching knobs. Simple to use, but above average performance (even for an 'analog tuner'). This tuner is in great condition. As stated earlier, we have completely gone through this unit. Looks great both inside and out. Cosmetically, with the exception of some minor 'pitting' on the rack handles (only really noticeable when grabbing the handles of the unit) the tuner looks great. Works and sounds great as well! This tuner has an above average AM section. Much better than most stereo tuners. Measures 17.75" wide x 5.5" tall x 10.5" (including rack handles) deep and weighs 6 lbs unpacked. Includes our standard 90 day limited warranty. � Everything was cleaned inside and out including extensive cleaning of all contacts, switches, controls, motor drive and I/O jacks. � Dial cord repaired and restrung. � Repaired motor mounting plate. � Fuses checked and replaced where necessary. � All Dial lamps replaced with new bulbs. � We also extensively aligned the tuner front-end, as well as the 'MPX' circuit for optimum AM & FM performance as older internal tuner components have always drifted on vintage gear over the years. � Tuner Presets are for manual / �user placement� indication as tuning sensor doesn�t read them, and we were not able to address that. 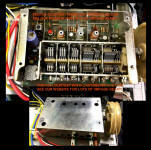 � Following electro / mechanical work, unit was fully detailed cosmetically, inside and out. � No power supply hum of any kind. It's dead silent! All functions test fine. � Cosmetics are in excellent condition. � Following restoration procedures, the unit was run continuously for 48 hours. 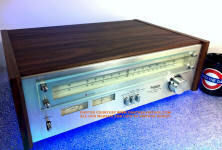 Very impressive and classy looking Kenwood KT-413, AM/FM Stereo tuner with performance to match. Handsome, 'Silver-Face' with clean functions. This tuner 'sounds' INCREDIBLE!!! Not sure why, but this tuner is one of the best performing tuners we have listened to in a long time. The �Auto-Search� function works brilliantly. Very �solid� locking when it finds a station. �Station-Lock� is positive with no detectable drift. This is on BOTH AM and FM. Very 'phat' sonics, with incredible presence and depth. A/B testing with this tuner was an 'eye opener' for us, and we've heard a lot of gear. 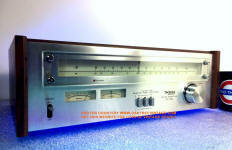 This tuner is very well built including rotating internal ferrite rod antenna. The tuner preset markers do not function but still work as �manual indicators� to show where your favorite stations are. 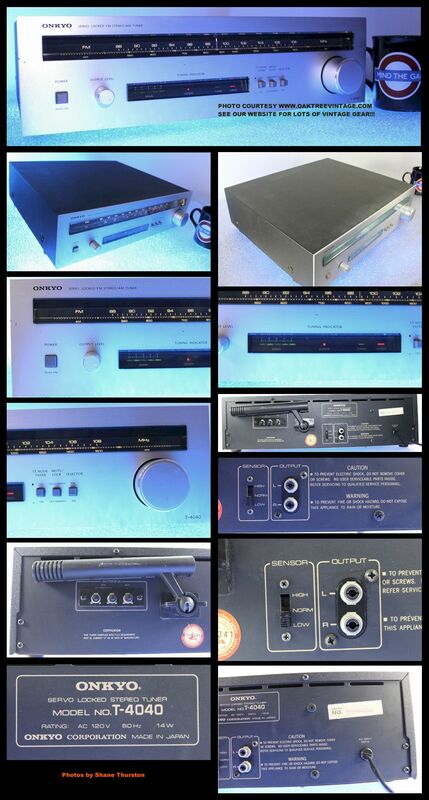 This tuner is in very good condition. Again, we have completely gone through this unit. Looks NEAR NEW both inside and out. This tuner has a very selective FM section and an above average AM section. Much better than most stereo tuners. The tuner preset markers do not function �automatically�, but still work to show where your favorite stations are. Again, I think I can safely say, it's probably one of the best sounding, most 'musical' tuners, we've ever heard (and yes, we've been doing this for almost 30 years). Looks beautiful, works and sound great! Includes AM ferrite and FM dipole antennas. Measures 15.5" wide x 11" deep x 5.5" high and weighs 9 lbs unpacked. Includes our standard 90 day limited warranty. � Dial Pointer / Indicator adjusted, via tuning capacitor to correct dial position. 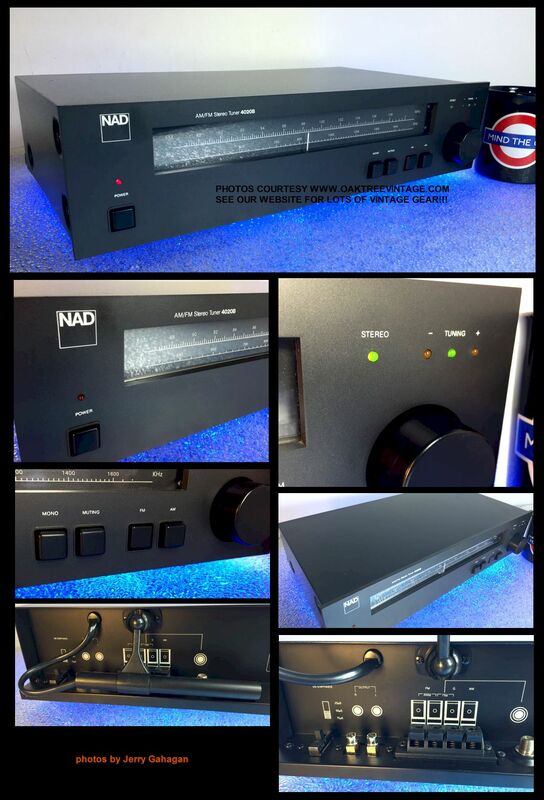 A classic NAD, analog stereo Tuner. 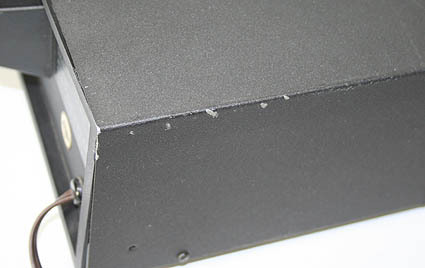 The NAD 4020B. These are famous for very plain, almost military appearances, but solid performance with lots of warmth and fabulous performance. VERY GOOD TUNER! Generally AM reception in a stereo receiver is treated as an 'after thought', but the AM reception on this one is WAY above average. Pulls in stations like an old 'Tube' radio! FM reception also incredible and IMPECCABLY CLEAN!!! 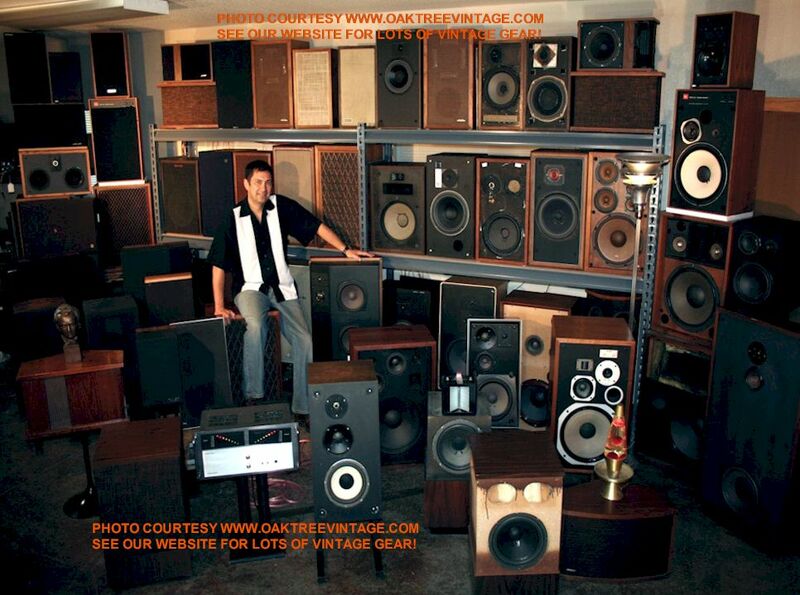 I used to sell these new and never remember an NAD owner who wasn't proud to own one. This one is exceptionally strong on both AM and FM. This is a very nice unit. Unit looks and sounds great. (While photos show the tuner as deep black, it is actually the 'standard NAD', dark "olive" finish). Tuner performs very nice with above average FM performance and exceptional AM performance. Most Hi-Fi tuners give AM a back seat. Not this one! Great addition to match your existing NAD system, but will certainly great tuning capabilities to any system! Measures 16.5" wide x 10.5" deep x 4.2" tall and weighs ~12 lbs unpacked. Following restoration procedures, the unit was ran continuously for 48+ hours. Total restoration time investment ~6 hours. You will not be disappointed. From the original Kenwood KT-7500' service manual, "Since Dual Power Supply system is adopted for all audio signal lines, dynamic range is very wide." 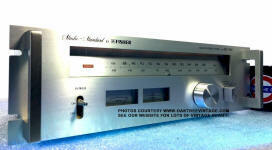 Very impressive and classy looking Kenwood KT-7500, tuner with performance to match. Brushed aluminum face with matching knobs. 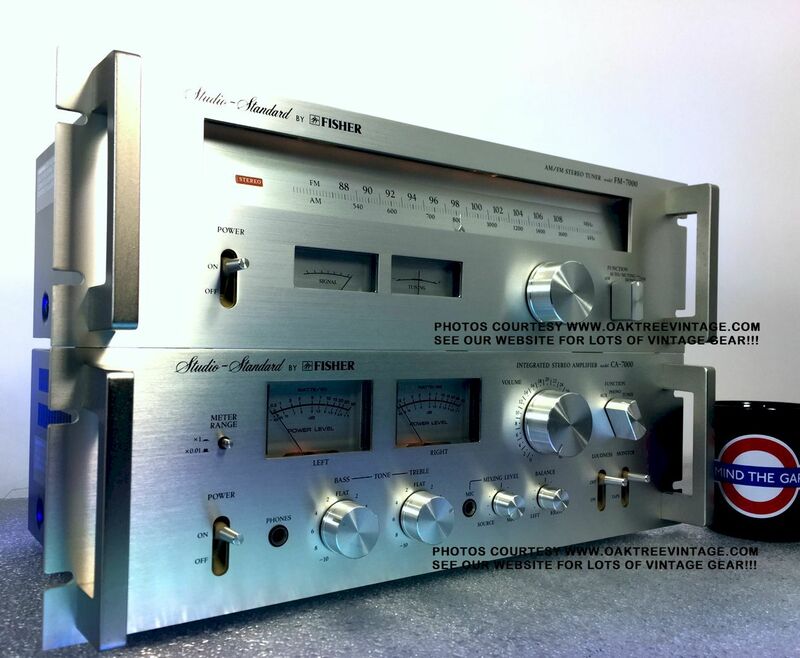 While we've had two or three of Kenwood's KT-6500 model, this is the first Kenwood KT-7500 we've had in 21 years that's been worthy of the site. This tuner is in fabulous condition. As stated earlier, we have completely gone through this unit. Looks great both inside and out. Cosmetically, with the exception of some minor 'tics' along the top 'horizontal edge' of the face plate (only really noticeable when looking 'down from above' the unit) the tuner looks great. Works and sounds great as well! This tuner has a very selective FM section and an above average AM section. Much better than most stereo tuners. This is a HUGE, AM/FM tuner from 1978! 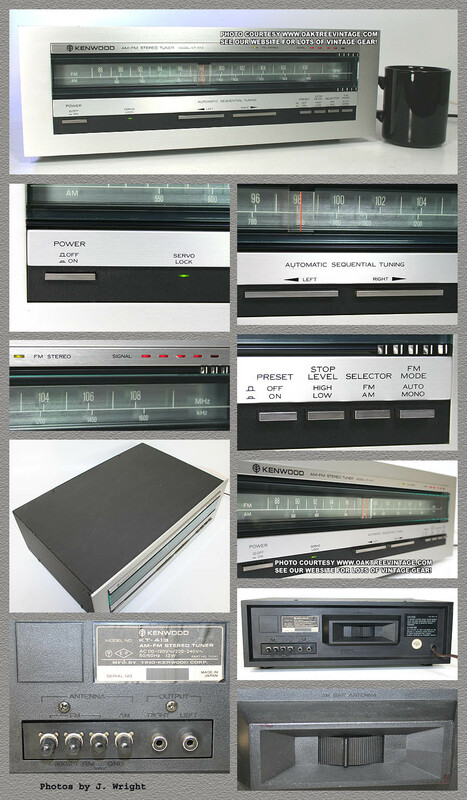 Includes a pdf, e-copy download of the Kenwood KT-7500 owners / users / instruction manual. Measures 17" wide x 14.75" deep x 6" high and weighs 17 lbs unpacked. Includes our standard 90 day limited warranty.